When a diverse group of people are placed in a single room to work on a project, it’s only a matter of time before conflict arises. According to a study commissioned by CPP, employees in the United States spend 2.1 hours per week involved in conflict. One possible reason workplace conflicts are so common is the inability of people who are responsible for handling them to deal with conflicts as well as they should. A 2008 study discovered that only 22 percent of employees from Europe, the United States, and Brazil believe that their managers handle workplace conflicts well. What are some of the most important conflict-resolution strategies and techniques that managers and non-managers alike can use to avoid conflicts at the workplace? Here's a list that every BA can learn from. While it’s usually preferable for employees to solve conflicts among themselves, the involvement of a manager is often necessary. The establishment of conflict guidelines gives employees a clear path to follow whenever they feel like they can’t solve the dispute without outside help. Without conflict guidelines in place, employees may feel trapped in the situation and make it even worse by using unfruitful conflict-resolution strategies driven by strong personal motives and emotions. Many disagreements among co-workers stem from deeper interpersonal conflicts, rather than actual objections to another person’s ideas. 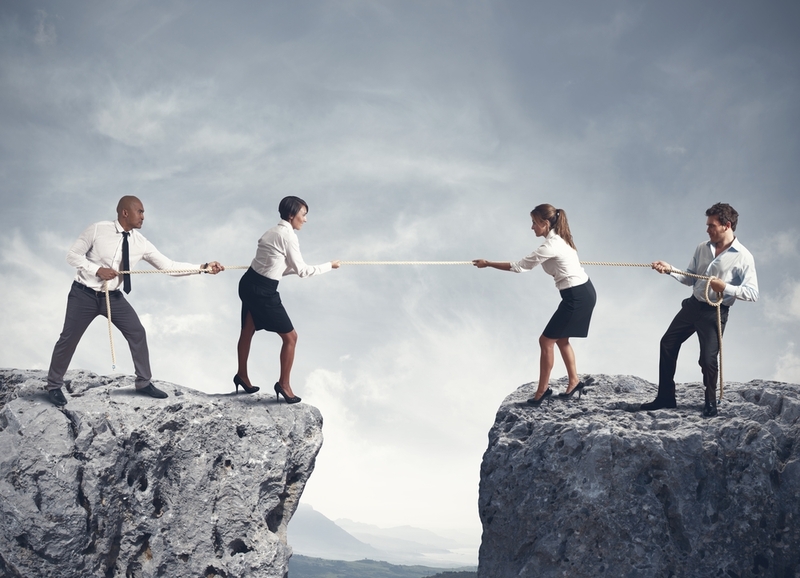 For managers, this type of conflict is often the hardest to solve. From the manager’s point of view, the solution is often crystal clear. Such a solution, of course, solves the wrong problem and doesn’t even touch on the real source of conflict. It’s usually the rest of the team that know the real reason behind the conflict. Managers can either encourage the team to intervene and solve the conflict internally or they can step in and solve the conflict themselves, equipped with the information provided by other team members. When egos clash, productivity crumbles. Some people are proud creatures who often get invested in their ideas to such a degree that the mere thought of someone disagreeing with them becomes infuriating. This attitude can be poisonous in the workplace. The ability to openly exchange ideas and evaluate what others have to say without any presuppositions is crucial to avoiding devastating mistakes. All employees must strive to maintain an open state of mind while encouraging others to voice their opinions. Emotions are useful warning signs, but they can also cloud our judgment and make us do and say regrettable things. A workplace filled with emotionless robots would be a very gloomy place to work on important projects, but the opposite is also far from ideal. Both managers and non-managers must learn how to control their emotions to such a degree that these emotions don’t negatively affect their judgment. Emotional intelligence training programs are becoming more popular every year because they directly translate into less workplace conflicts and increased productivity.